This doesn’t really qualify as a recipe, more like what to do with all that leftover mint after you made the pineapple mint paletas. Just steep the mint in a big jug of water, leave it in the fridge for a super refreshing drink. It gets better overnight. Add cucumbers, even better. Take it one step further, forget the water, add rum and sugar cane and make Mojitos. 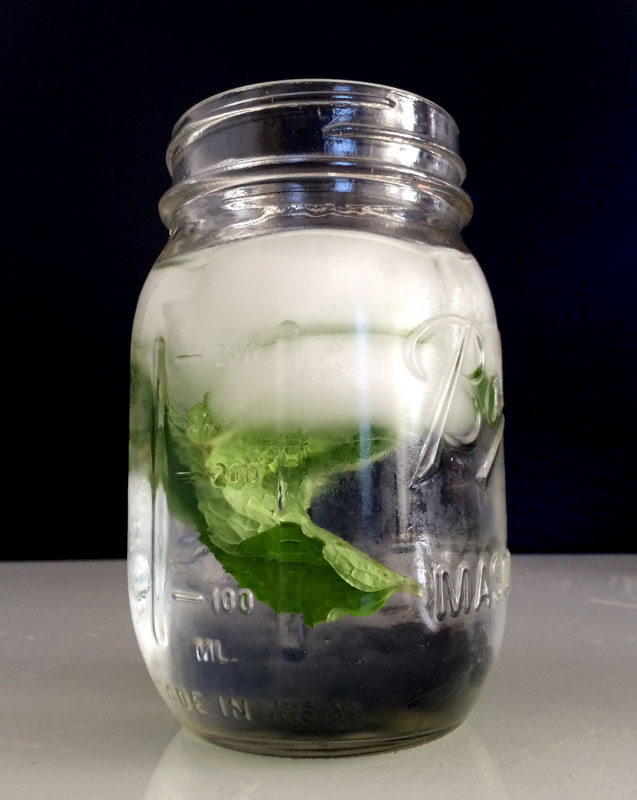 Combine mint and water and let steep in fridge for several hours or overnight. Note: You can add fresh strawberries, lemon, cucumber or any combination of summer fruits you have in the fridge.